The SOL Escape™ Bivvy is nothing less than a revolution in backcountry shelters. The complaint with most ultra-light emergency shelters is the same: condensation builds up inside as you get warm, leaving your clothes soaking wet. With the Escape™ Bivvy, condensation is no longer an issue, and you never again have to choose between staying dry and staying warm. The proprietary fabric lets moisture escape at the same time that it keeps rain, snow, and wind on the outside – all while reflecting your body heat back to you. Waterproof seams plus a drawstring hood closure and side zip mean you can seal out the elements entirely or use the bivvy like a traditional sleeping bag. The low-visibility OD Green color with repeating black logos is ideal for those times when survival means you don’t want to be seen. Makes it easy to blend into your environment. 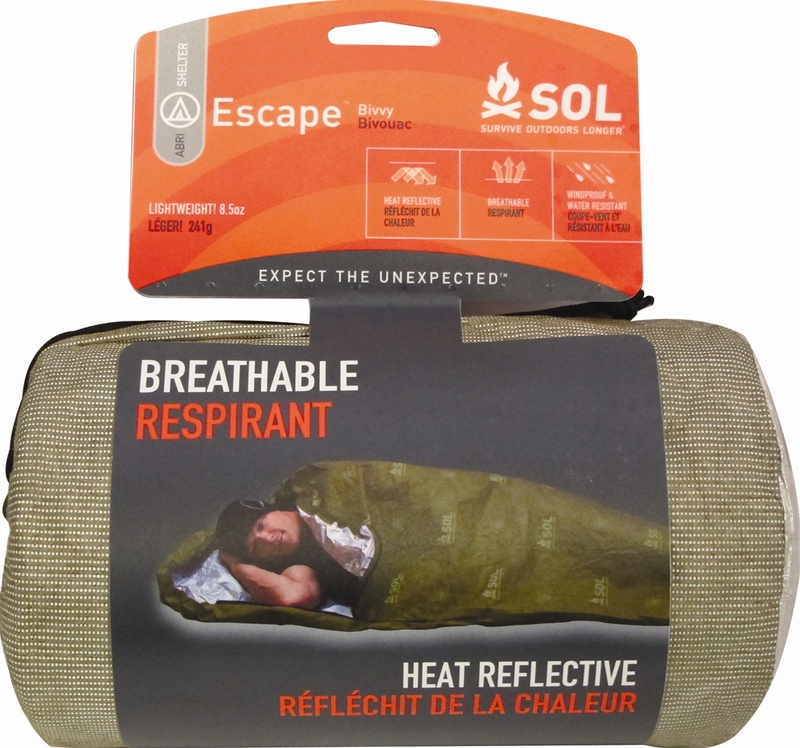 Adventure Medical Kits Sales Rep and Professional Adventure Racer Kyle Peter breaks down the Survive Outdoors Longer Escape Bivvy, the first breathable heat-reflective emergency shelter. 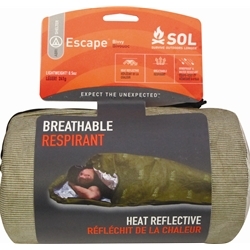 More versatile than any other emergency shelter on the market, the Escape is a true crossover, good even as a replacement sleeping bag in temperatures down to 50 degrees.